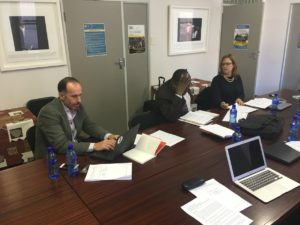 A two-day inception meeting of the Mellon project coordinators from four universities has taken place at the African Centre for Migration & Society at University of the Witwatersrand, South Africa. It took place on 11-12 July 2017. In December 2016, the Andrew W. Mellon Foundation awarded a grant to ARUA for a project titled “Mobility and Sociality in Africa’s Emerging Urban” intended to “cultivate a generation of African scholars who can reshape global social theory and scholarly conversations on mobility, cities and social change”. The project expects to open new scholarly frontiers while enhancing the quality of pedagogy. The Mellon grant is intended to support largely doctoral and post-doctoral students. 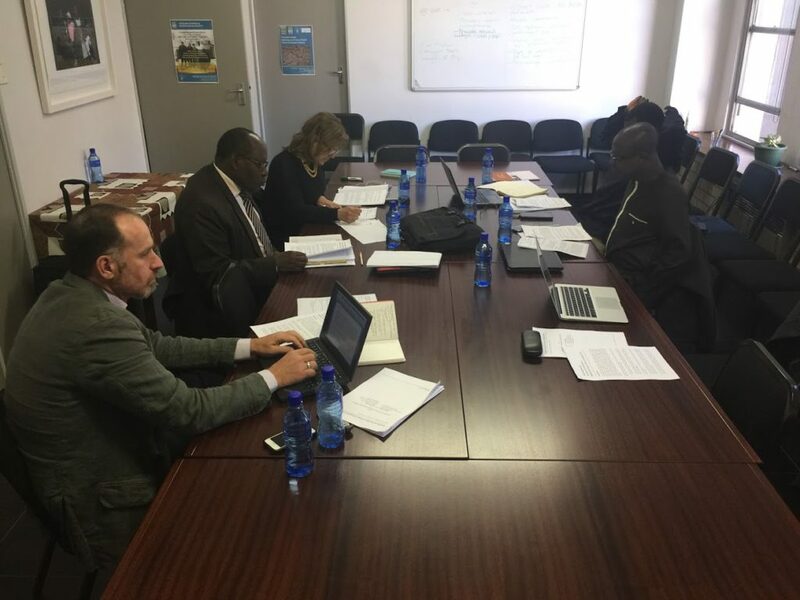 The inception meeting was hosted by Professor Ingrid Palmary and Professor Loren Landau of the African Centre for Migration and Society. It was attended by Professor Elias Ayiemba (University of Nairobi), Professor Vupenyu Dzingirai (University of Zimbabwe) and Professor George Owusu (University of Ghana). Professor Ernest Aryeetey, Secretary-General of ARUA, was present to provide a perspective on the link between the project and the broader set of ARUA objectives, strategies and activities. University of Cape Town, represented by Professor Francis Nyamnjoh, is the fifth partner university in the project. The meeting first discussed the research interests of the lead researchers as well as the departments and research centres they represent. It also discussed the overarching themes for the Mellon project and confirmed that all the areas of theoretical interest to them fell within the chosen themes of the proposal. 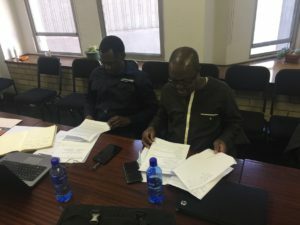 The proposal was “designed to promote work engaging with scholarly (i.e., not policy) themes and to promote the next generation of critical, theoretically engaged African scholars”. The project emphasis is on questions of subjectivity and citizenship in a variety of African urban settings. Wherever possible, the group decided to emphasise areas of commonality to promote easy exchange between the partners and to foster a ‘field’ of urban and migration studies across the continent. The lead researchers agreed that all postdocs should ideally be based at a partner institution outside of the one where they completed their degree.